For people of colour, travelling outside of urban centres in the UK can sometimes feel like unchartered territory. Without the safety blanket of multiculturalism that cities provide, leaving can be daunting – there’s a reason why Black Girls Camping Trip exists. But that shouldn’t stop us exploring everything the country has to offer. So to celebrate English Tourism Week, we asked some of the gal-dem team what their favourite places were to visit in the UK and the memories they have from their favourite tourist destinations. There is so much that you can do in Devon, it’s unbelievable. It has four “areas of outstanding natural beauty” and a mix of wide, lazy beaches and hillside hiking. Because there are plenty of coastal areas, you can find yourself on a beach with nobody else around fairly regularly, and most accommodation is pretty affordable, between £20-£80 per night depending on whether you want a shared or private Airbnb. It’s also accessible even if you don’t have a car — getting to Exeter is easy from London, and there’s a good network of local rail out to the smaller towns and villages. There’s nothing like having the serenity of rolling hills, forests, and tranquil ( freezing) lake Windemere as the backdrop to debauchery. After we left university, the working world fractured our friendship group with some people staying in Sheffield and others splintering to other cities like Manchester, Bristol, and London for work. In order to stay in touch, we’ve developed a tradition of visiting some far-flung corner of the UK for long weekends where we can catch up, celebrate birthdays, and generally be obnoxious somewhere so remote that no one can hear us. Enjoy walks breathing in air much cleaner than you would ever find in zone one, board games in rented cottages, and drinking all the bottles you bought from Tescos – which made it look like you were preparing for an apocalypse – by the log fire. Everyone in the local pub has a cute dog, and every climb has a view that will make you reconsider city living. If you have friends who want to pretend they’re richer than they are, you can find places with hot tubs which are cheap when you split them with a large group. And, since there’s barely anyone for miles, cue the fireworks. It has never been a source of pride that my paternal ancestry stretches back into the far reaches of Kentish history because up until recently I hadn’t spent a lot of time in the Garden of England (a nickname for the county). But after recently visiting Fordwich, officially the smallest town in the United Kingdom, which boasted a population of 381 in the 2011 census, I can accept that Kent is to be treasured. 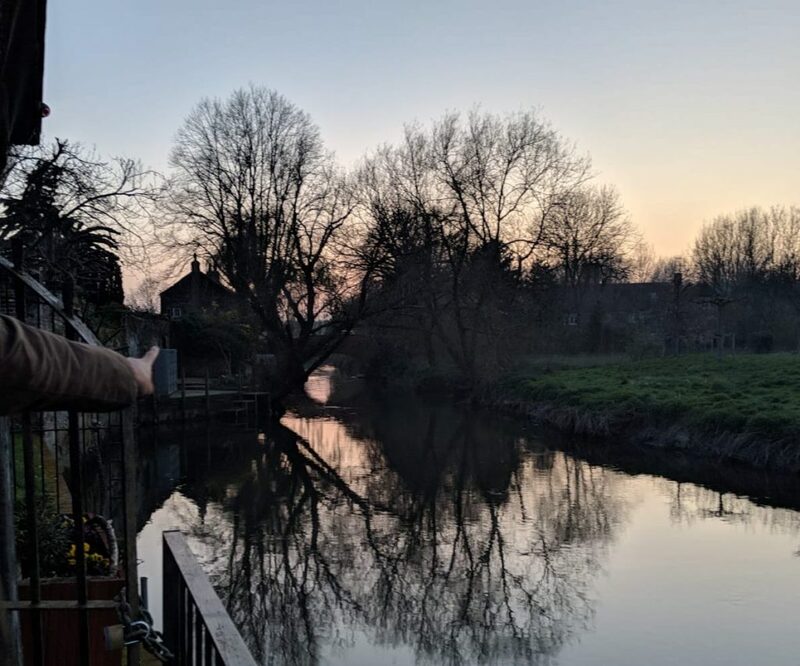 Fordwich is a beautiful place – it lies on the Great Stour river and a lot of the buildings look as though they have been preserved since the Middle Ages. Visit the ancient Norman church of St Mary the Virgin which is over 900 years old and eat at the Fordwich Arms, a Michelin recommended restaurant where food comes out with puffs of smoke and on big blocks of pink salt, but where you won’t be overcharged or made to feel uncomfortable by an uptight middle-class atmosphere. The restaurant backs onto the river, where longboats gently rock and the sun sets into the water. Some of my most joyful childhood memories with friends are from the annual residentials to Skegness that I’d go on with my After School Club, Ajani. Our trips to Skeggy’s Butlins resort – the first ever Butlins in the UK – were always a highlight of the year for us. Not because it was a particularly glamorous or exciting location, but simply because it was one of the few times we’d be able to be with our friends for an extended amount of time. Although anyone was able to join, the Ajani After School Club was designed predominantly for African Caribbean girls aged four to 11. Whether we were on the beach, in the resort or in the Pleasure Beach amusement park, we were often the only black people we’d see on the trips. As a group of around 20 black girls in a very white town, we knew we were a commodity but we revelled in the fact that when we were around, people would notice. We were unashamed about being loud, playful and carefree black girls because, despite the stares, we were there together as Ajani. Is it a cop-out just writing about the strange little island I grew up on? Absolutely. 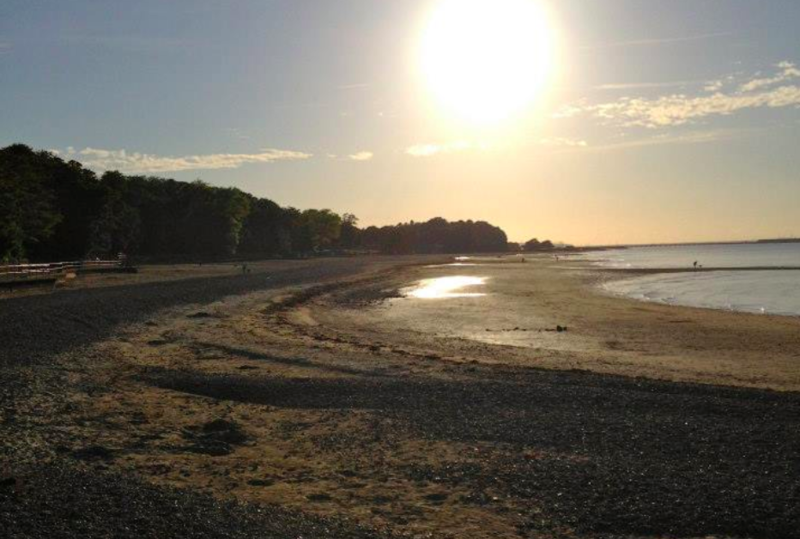 But a childhood on the Isle of Wight means a deep knowledge of what a weird but beautiful place it can be. There’s all the coastal walks and the multi-coloured sands at Alum Bay; the rolling hills and farms – specifically on the farm front, there’s the Garlic Farm (and, of course, the annual garlic festival). 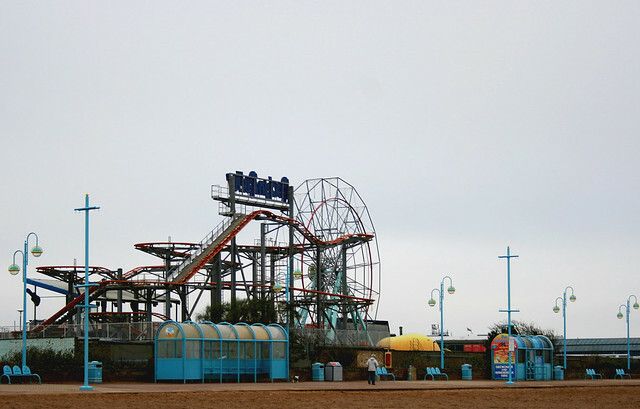 There are beaches with rock pools and fossils; places to surf, sunbathe or have those questionable disposable barbecues; bizarre funfairs and crazy golf rounds along esplanades where you can get those polystyrene cones of chips. There are also some heritage sites if that’s your bag: Queen Victoria’s summer house (you can see a room of stuff she was gifted from India! Isn’t colonialism a trip? ), an ancient Roman villa, the castle where Charles I was imprisoned for treason, and a monastery that serves delicious scones. And most importantly, that body of water between the island and the mainland (which is what I still call the UK, I’m sorry) makes you feel very far from the chaos of city life. Also, Karl Marx visited a bunch of times with his wife, so make of that what you will. 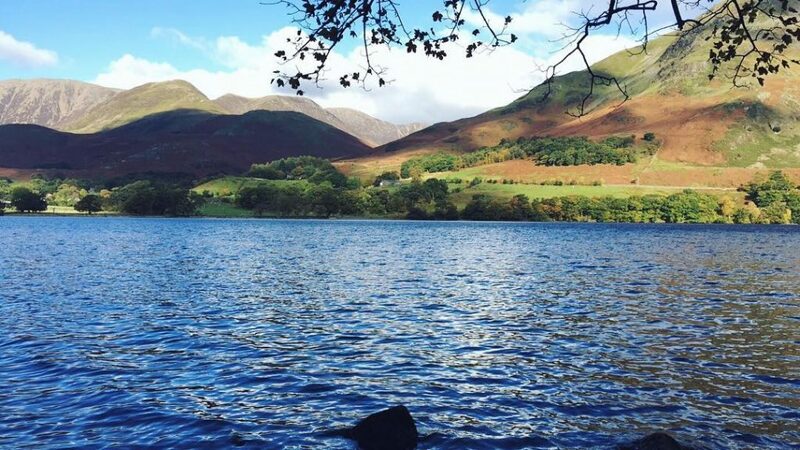 Going on small day trips in the UK was a realistic holiday destination for me and my family. When the sun came out and we needed a break from London, we’d hop on a train for an hour and a half to the small seaside town, Hasting. 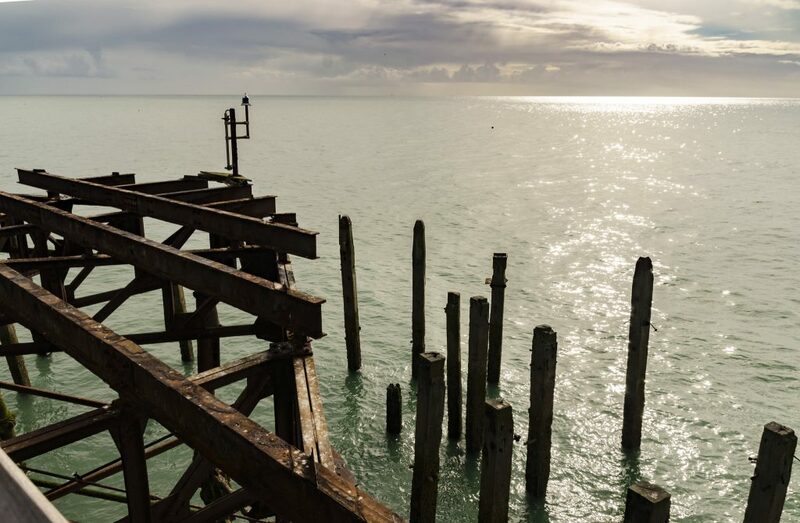 Situated in East Sussex on the south coast, Hastings is an ideal trip if you’re looking for somewhere a bit quieter than Brighton or Margate. There’s a beautiful pebbly beach lined with colourful huts and Hastings is home to an old school funfair called Flamingo Park. Expect waltzers, carousels and candy floss. I vividly remember whipping around on the caterpillar ride as a child. My mum, brothers and I would always end our trip with the freshest fish and chips before hopping back to busy London. I still go to Hastings now with my friends, it’s quick to get to, it’s a cheap getaway and a perfect respite from city life.